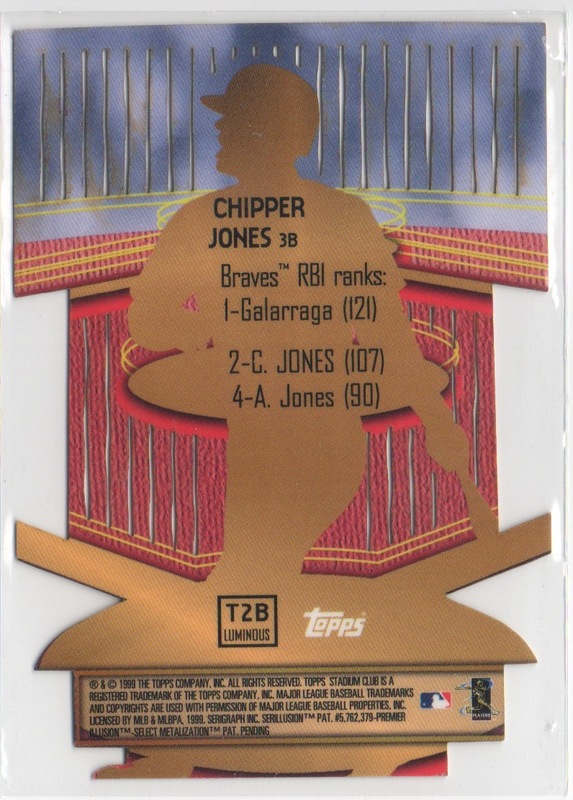 Two of my most recent Chipper Jones acquisitions are from 1999 products: Upper Deck Retro and Stadium Club Triumvirate- both of which feature some of the nicest designs from the third baseman’s MVP year. 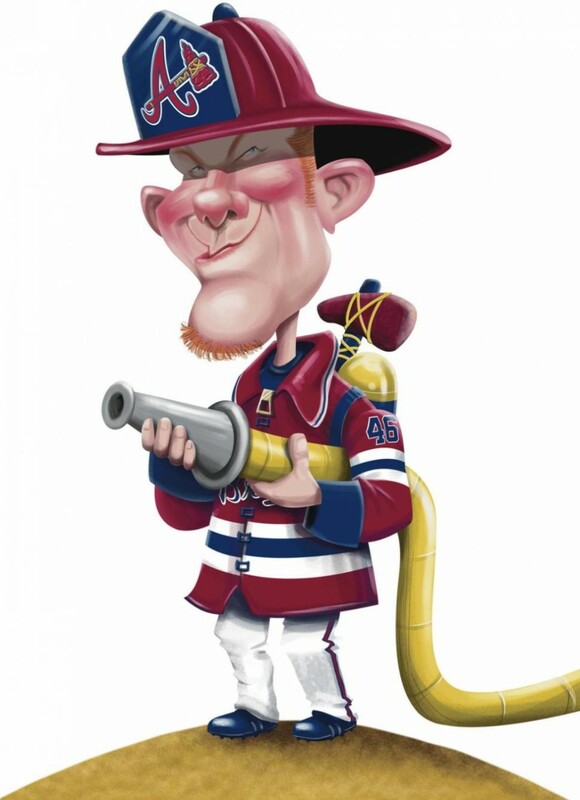 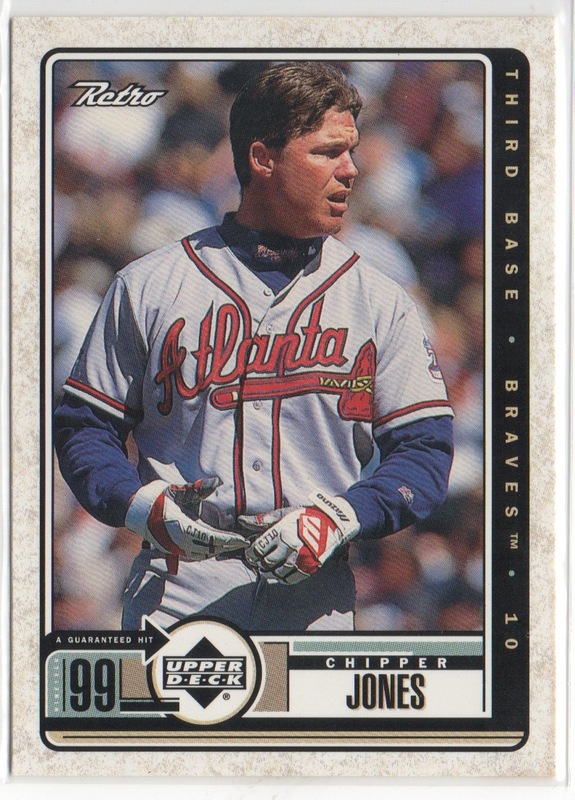 According to wikipedia (which features an ESPN article as a reference, although the link is to Chip’s career stats), Jones became the first player to ever hit over .300, slug over 40 homers and doubles, draw 100+ walks, collect 100+ runs batted in and runs scored, and steal 20 or more bases. 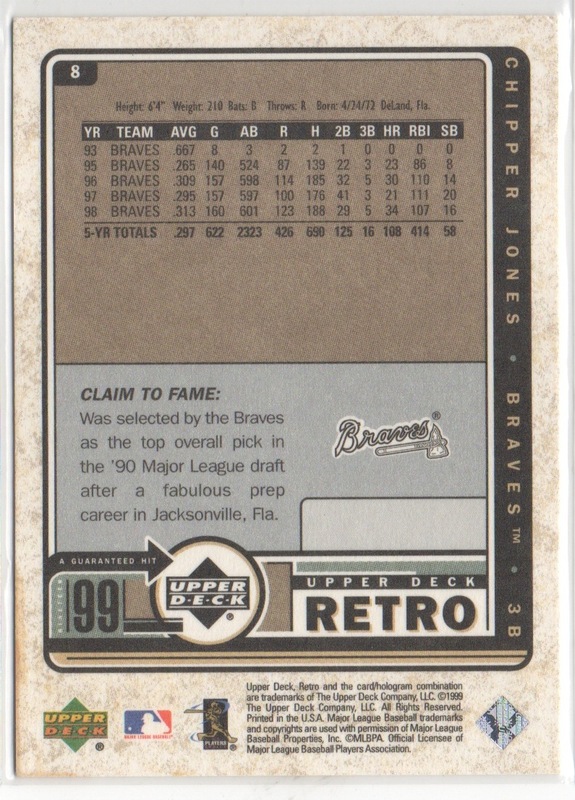 Whether or not he was actually the first player to do so, you’s gots to admit…them’s some pretty amazin’ numbers. 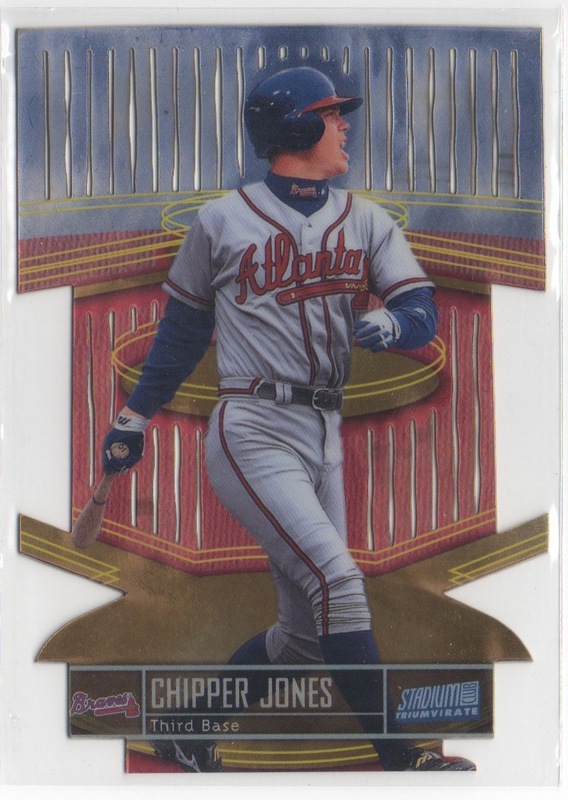 This page is dedicated to my hobby of Sports Card Collecting; mainly focusing on Baseball!